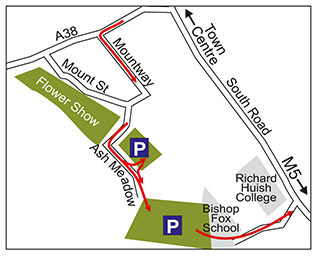 The route out of the show is through Bishop Fox's school out onto South Road. This minimises any traffic hold ups if there is two way traffic along Mount Street. The exit will be clearly signposted from the car parks.